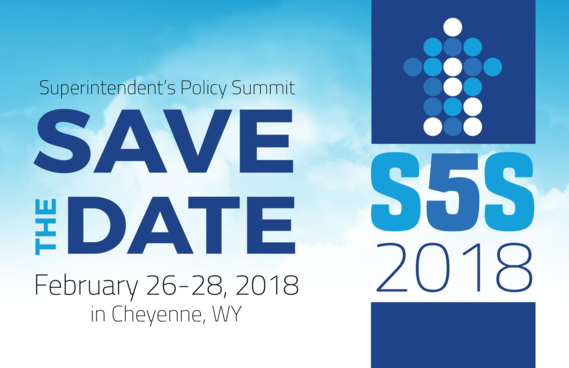 I am excited about the quickly approaching 2018 Superintendent’s Summit (S5S) and I hope every district in the state will be represented. During year one we heard from Senator Enzi, Governor Mead, and experts from across the state. Last year leaders from the legislature spoke candidly and UW President Nichols underscored her commitment to Wyoming students in a wonderful keynote speech. As a reminder, I invite every Wyoming school district to send their superintendent, board chair, outstanding principal, and teacher of the year to join the WDE team for critical conversations about education from national, state, and local perspectives. The WDE is moving more and more to social media. Please send articles, events notices, and photos from your school district to thom.gabrukiewicz@wyo.gov and we will help get the word out. Use the links below to stay connected to our website and social media accounts. I also tweet about education in Wyoming regularly and my handle is @jillian4supt.